Fundraising T-shirts, Hoodies and Mugs are available and you can get early bird discount on them, if you purchase by May 19, 2017. If you are a patron, please get your discount code here. 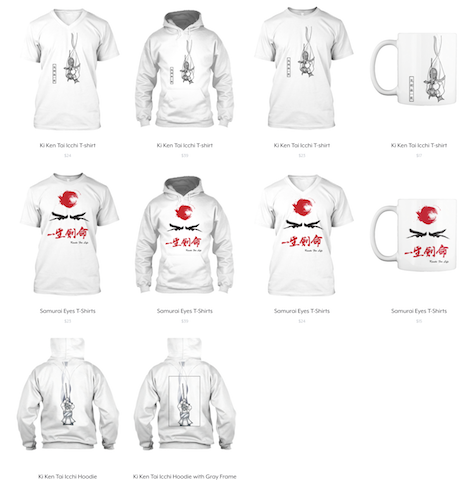 To check out the fundraising apparels and mugs, please click here. This link contains the discount code. These are also t-shirts I made before. 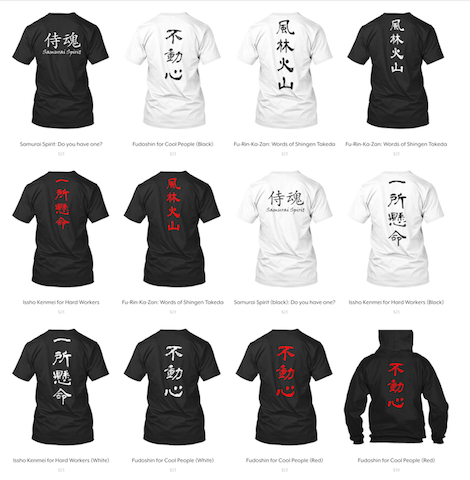 Click here for Japanese Calligraphy T-Shirts. The link includes the discount code. Important: After you go to one of the pages and click a product you want you should see a pop up message, "Cha-Ching! Congratulations you'll be receiving 10% off your purchase" or something similar like "Congratulations, you'll be receiving 10% off your purchase. Discount reflected at checkout!" . The Code is Not Working? If not, the coupon code is not working. If you think the discount code is not working, please click here. This link includes the discount code so your discount should be activated. Ignore the timer. It is set to 3 days because after the set days they will start process and print. That way you can get products more quickly!